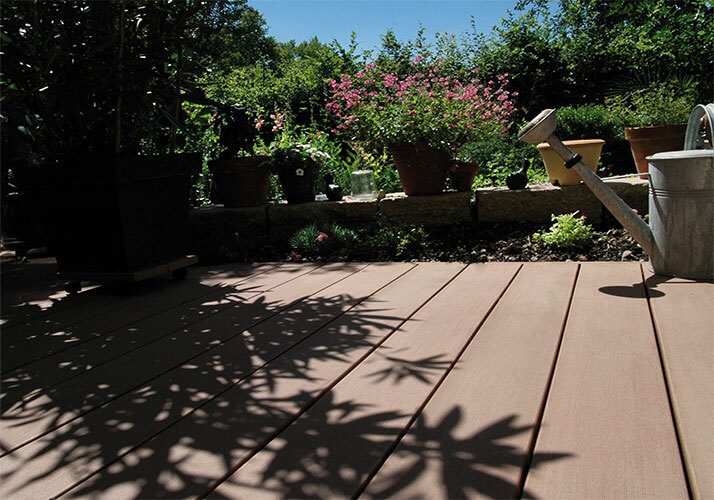 Wood plastic composite tongue and groove wood deck is mainly produced by a number of plant fibers and wood fibers, with a healthy and comfortable living environment, green, stylish, easy to install advantages, popular by the decorative business and user, become the protagonist of interior decoration . Composite wood is an environmentally friendly material, widely applied to urban construction and renovation of buildings, can be used in some of the more humid environment, because composite tongue and groove wood deck moisture resistant and not perishable, this new the material is not deformed and waterproof, compared to traditional wood flooring, so use broader. meanwhile, composite wood deck can be used in any environment, and its life will be longer than the traditional wood. Composite deck fire and smoke density reach the national B1 level standard, with superior flame resistance, increase the safety factor of human habitation. composite deck add flour and other plant fibers , particularly for geothermal heating floor is very good. Japan, South Korea, North America and has been widely adopted, deck zero formaldehyde, no benzene, for home decoration is an excellent choice. In addition, composite wood deck uniform color, texture natural, have wood appearance, can meet user personalization decorating ideas. Now more and more consumers have approbate the composite tongue and groove wood products, it not only beautiful and durable, but also environmentally friendly ,conservation of forest resources, in line with the concept of environmental protection.